DOES THE MUSTANG really have an advantage? Or are the Holden teams just way behind the eight ball this year? Where does the Nissan sit? Here’s some numbers that may (or may not) help illuminate the great parity debate of 2019. WORDS: TheRaceTorque.com crew IMAGES: Supercars, Red Bull HRT. Much has been played out in the parity debate in recent times, so here at The Race Torque, we’ve broken down some tidbits from Phillip Island, while we also look at the upcoming rounds. Highlighted values are the best qualifying time for DJRTP, T8, Non-T8 Holden, Nissan and Tickford for each year. To break that down, McLaughlin’s pole margins as a whole are staggering, but Sunday on Sunday year on year, he gapped the field by an additional 0.2351sec. While conditions may have played a role and keeping in mind that he lowered his best time year on year by 0.2765, how much of that is down to the car changes, and how much is down to the driver being peerless at Phillip Island? It’s worth recounting the many off-Season Changes in place for this year. VIDEO: Roland Dane on T8 Form, Errors..
“Here we’re trying to walk a tightrope in the performance window, as it were,” said Roland Dane on Sunday morning to Neil Crompton. “We’re trying to find something, that to be honest fundamentally isn’t there, and all of the Holden teams are. “We’re trying to find front end performance of the car, that actually isn’t there, so we’re doing all sorts of things trying to find it, and I think you see it with the other Holden teams with Erebus, with Walkinshaw’s as well, slipping in and out of that window. The weekend for Triple 8 came off the back of a tough season opening test day at the venue. “Our set-ups, in the rear in particular, were very, very non-linear in the past, so we’re making a big change,” Mark Dutton told Motorsport.com at the time. “The thing is, you then have your dampening and geometry and bars and everything set-up for the way you work. “Even though a linear is a more simple thing, when the rest of your car is tuned for a very non-linear set-up, there’s a lot of differences you need to get on top of. “We definitely got through some good learning today, some good testing, but you see on the timesheets – that’s not because we didn’t have enough tyres. This comparison between McLaughlin and Whincup’s best laps from Friday painted a fairly graphic picture. While we’re not sure where Supercars Charts scrape this data from, if it is on the money, it also tells an interesting story of the strong and weak points of the different cars for the above laps. The thing with Australian motorsport is that we lack big, bad high-speed tracks, where pace is dependant on the aerodynamic performance of the cars, like Phillip Island and Bathurst. While it’s nice to have a slick car, there is much emphasis at upcoming tracks on straight line handling, power down and bump / ride control. Barbagallo Raceway – All about keeping tyres under the car, with the added curve ball of the new track surface. Winton – Slowest track in country, aero negligible. Darwin – Compromise between drag strip and slow to medium speed corners on the backside of the track. Townsville – Street circuit, hardest track on suspension in the country. Qld Raceway – Compromise between fast, slow and really slow corners, plus massive bumps. The Bend – Compromise between drag strip and everything else in between. 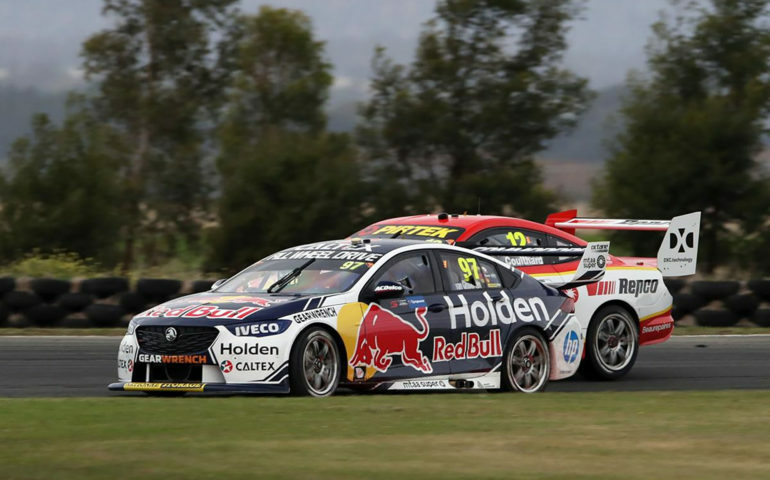 Jamie Whincup hasn’t forgotten how to drive. With seven titles under his belt, overnight he hasn’t dropped from being an A+ driver. That said, Triple 8 clearly have much work to do to maximise their package. Recent strong performances from satellite squads Irwin Racing and Matt Stone Racing are proof that their technology can stick it to anyone in the field, and Anton De Pasquale’s podium on Sunday shows that the Holden package was capable at the Island. In 2017, Craig Lowndes had an off year in T8 prepared machinery, with much of the issue coming down to a change in tyre compound for that season. Small changes, tight tolerances, and a resulting lack of confidence in the package are hard to overcome in such close competition. Barbagallo Raceway has been one of the happiest hunting grounds for T8 over the years – for the sake of the sport and the competition at the pointy end of the field, here’s hoping they are back at the front sooner rather than later. 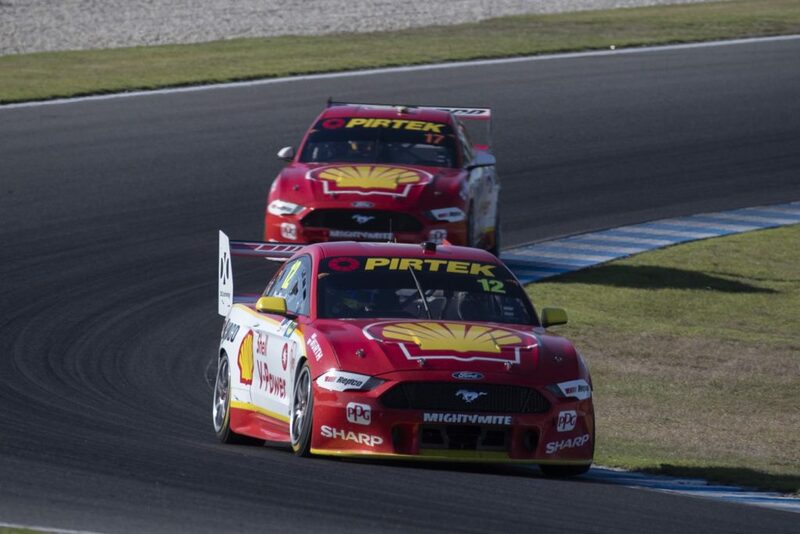 It’s also worth noting that while Tickford clearly had a year-on-year gain at Phillip Island, they were still some margin behind, at least relative to the Shell Mustangs, at the weekend. The remainder of the Commodore pack seem fairly standard from last year, while the Nissan – at least at Phillip Island, always a happy hunting ground – may have found some improvement. Though given they barely cracked the top 15 a week ago, even that’s a hard one to read. The parity debate is unlikely to die down and there may well be changes to come. And Phillip Island is a unique circuit as we’ve outlined above so take the numbers with a pinch of salt. It’ll probably be very different in the wild West next fortnight. But at the moment the Shell Mustangs are much better than everyone, and the Red Bull Holdens are much worse than their GM-driving rivals and, as such, most of the regular front runners too. It’s hard to get a read on real parity when the best Holden team of a generation are behind the eight ball, and few others of any brand are stepping up to fill the void.